Geraldine Villeneuve has been practicing Reflexology for over 30 years. 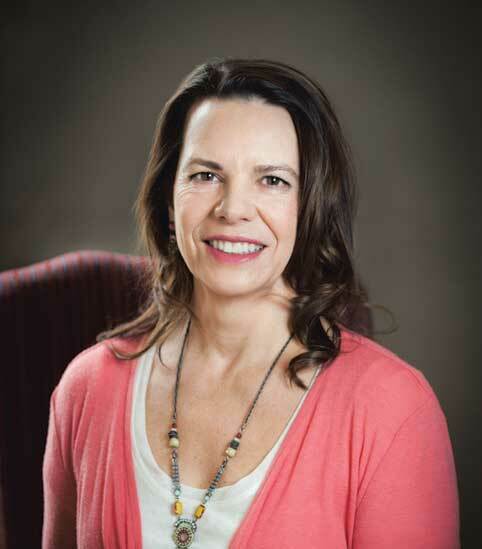 She holds a Bachelor of Science in Therapeutic Recreation, is a Licensed Massage Practitioner specializing in injury remediation, and is an American Board Certified Reflexologist. She is also a member of the International Council of Reflexologists. She founded the Seattle Reflexology and Massage Center where she produced and taught a popular Mastery Level Reflexology Certification training series. Geraldine trademarked Structural Reflexology® in 2013 as a revolutionary motion to promote foot health awareness by providing education for more healthful and therapeutic options to resolve foot pain and compensation in the body. Ultimately her goal is to encourage public awareness to rise into a culture of individuals with vital feet rather than a culture of foot-pain sufferers. Her experience, clarity, and dynamic teaching style invoke great respect and admiration in the health forums she leads on the subject of Structural Reflexology®. Since her busy practice comes mostly from word of mouth she appreciates referrals and collaborating with a variety of health care professionals including chiropractors, MDs, NDs, and others who see great value in Structural Reflexology® because they have either witnessed recovery from their patients’ foot pain or have personally experienced successful and lasting relief from their own. Geraldine now happily resides in Essex, Vermont with her husband Neil. She enjoys spending time with family and friends, playing the violin, stained-glass window-making, skiing, rock collecting, nature, and learning new things.